A Mind Map is a type of graphic organiser. 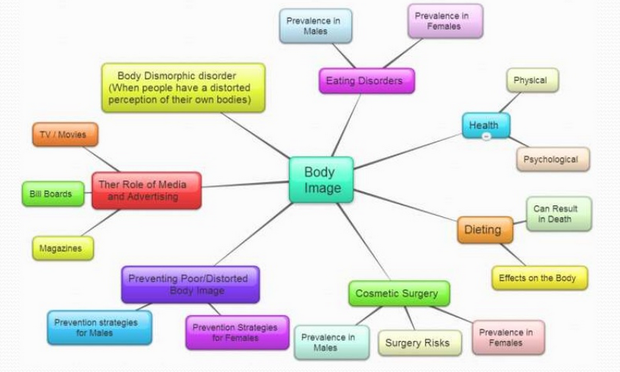 Mind Maps allow you to create a visual representation of ideas and concepts on any particular study topic. They are particularly useful for brainstorming and note taking. They are a great note taking and study tool as they engage students in whole brain thinking. They allow you to see the big picture (how all the different ideas are to connected to one another). They are used as a study aid to help clarify thoughts, determine relationships, simplify complex ideas and memorise information. All Mind Maps begin with a main concept or idea that the rest of the map revolves around, so choosing that idea or topic is the first step. Begin by creating an image or writing a word that represents that first main idea. Mind maps can be created on paper or on a computer with mind mapping software such as Bubbl.us and MindMeister. Lotus Charts take brainstorming and mind mapping to the next level. They can be used to generated ideas and link concepts. In addition, higher order thinking can be developed by using questions instead of topics.